This is the first verse of the English translation of Dies Irae, Thomas of Celano’s Latin hymn, approved for use as a funeral mass sequence. 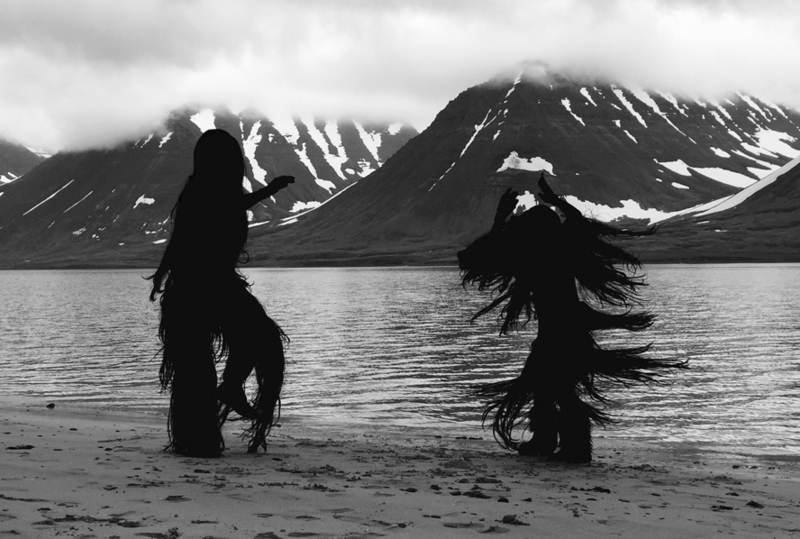 Dies Irae is also the title of visual artist Gabríela Friðriksdóttir’s short film. A rhapsody in black and white, the film comprises of concrete and abstract moments conveying joy, grief, death and resurrection. The soundscape is based on a reversed musical rendering of Dies Irae, as performed by brothers of the Abbey of Notre Dame. The treatment results in a sound resembling the rumbles of an ocean being pulled and pushed by the moon. Breathe in and everything comes alive, breathe out and for a second everything will die; all things are in a flux, they move back and forth, between life and death. The future is a reflection of the past, the present a boat without oars on a tranquil lake. Dies Irae is part of SACRIFICE – a festival of common things made holy. SACRIFICE is a collection of works that stress the importance of inspiration, creativity and human contact. They range from performance to installation, from the immersive to the voyeuristic, from sound to silence. The festival is a journey through various definitions of theatrical presentation and choreography, with particular focus on the human body, its movements and our ways of expression. Produced by Iceland Dance Company, in collaboration with Lókal Performing Arts Reykjavík and the Reykjavík City Theatre. Artistic direction: Erna Ómarsdóttir and Valdimar Jóhannsson. Co-produced by Shalala, SPRING Festival Utrecht, Tanzhaus Düsseldorf, BUDA Kotrjik and Reykjavík Dance Festival (apap).